The beauty of Switzerland has renowned it as the ‘heaven on Earth’. If you want to fall in love with your better half all over again, then Switzerland is the place for you to visit. Be it the lush green land or snow-clad mountains, Switzerland has always managed to enchant people and win over hearts. Let us explore the various honeymoon destinations in Switzerland that will surely manage to surprise your beloved. What would be a better destination than the snow-covered Alps for an ideal culmination of your wedding diaries? 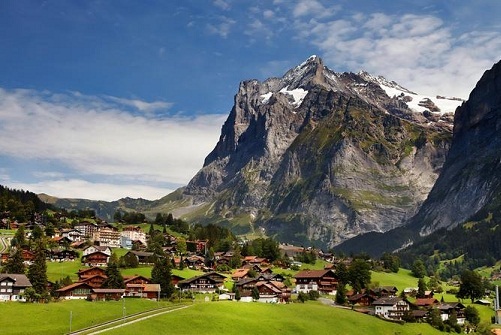 Switzerland is that quaint country in Europe and is a dream spot for every honeymoon planner. Ideal especially in winter, with magnificent glaciers, gleaming mountain peaks, serene lakes, picturesque villages and towns; there is an assortment of splendid honeymoon destinations in Switzerland. Located in the Bernese Overland and bordered by lakes- Thun and Brienz, and mountains- Eiger, Monch and Jungfrau, Interlaken is one of the most pristine and by far the best city in Switzerland for honeymoon. This tourist destination is the centre for numerous excursions, skiing activities, landscape views, lake paddling and paragliding. Enjoy the scenic beauty from Harder Kulm lookout. Many Private buses ply to Interlaken from Paris, Rome, Florence, Munich etc. If you wish to enjoy the lush green land, then February to April is the best time. If love in the snow clad mountains is your dream, then December to February is the best time. The crime rate in Interlaken is very low and is considered as one of the safest destinations in Switzerland. However, tourists should always take care of their passports, tickets and other valuables at all times. 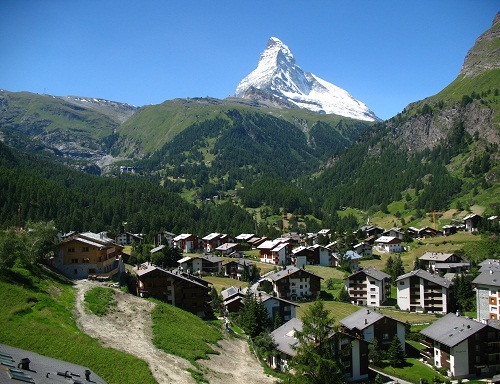 Zermatt is another noteworthy spot among the scenic Switzerland honeymoon places. This quaint town is located at the foothills of the Matterhorn and is ideal for couples who are crazy about mountaineering and skiing. If you are planning your honeymoon in Switzerland in February, then this is the place to be. There are 5 airports within a 150kms range including Geneva, Zurich, Milan, Sion and Bern. It’s a 3-4 hours drive from the nearest airport. Zermatt is a car-free destination. People park their car at a parking garage and take a 12-minute train to Zermatt. Zermatt has numerous multi-cuisine restaurants. Be properly equipped while going for skiing. This enchanted Swiss village is adorned with beautiful lakes, spectacular churches and dazzling landscapes. You can try out some authentic Swiss chocolate, go for a classic cruise on the Lake Lucerne or travel to Mount Pilatus in a Gondola. 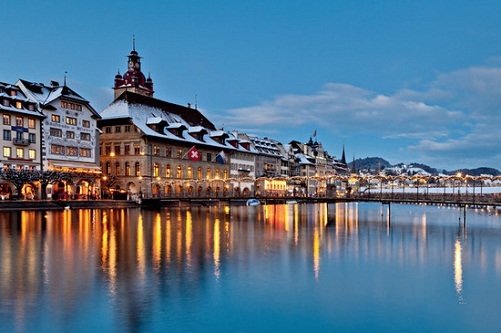 Honeymoon in Switzerland in May is incomplete without Lucerne in its itinerary. Reach Bern or Zurich as both these cities are well connected via train and n=bus to Lucerne. Lucerne has numerous multi-cuisine restaurants including Indian restaurants. With the perfect blend of snow covered mountains and beautiful lakes, Ticino is the best place in Switzerland for honeymoon travellers who are lovers of exquisite beauty. This charming province is located in the South Western part of the Swiss Valley and offers you dreamy boat rides, water sports, windsurfing, among its various other activities. 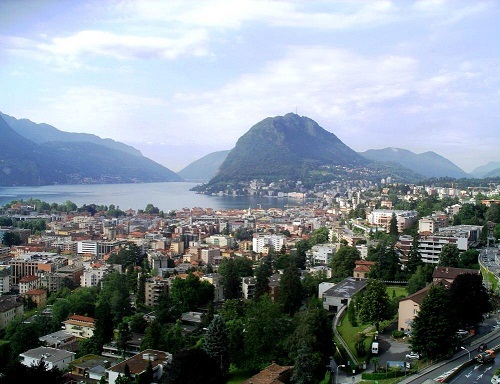 Known as the Mediterranean heart of Switzerland Honeymoon in December is worthless without a visit to Ticino. Ticino is pretty safe, and you need to take regular precautions only. A visit to this country is of course without a glimpse of Zurich- the country’s largest city adorned with magnificent peaks and mesmerizing valleys. 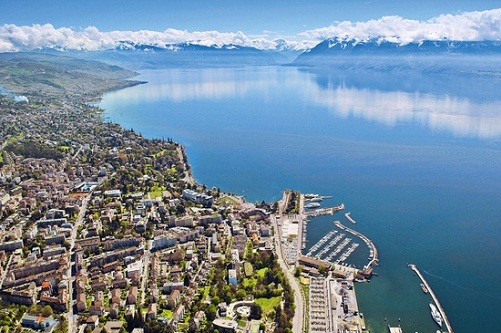 Known for its rich cultural heritage, this is yet another of the most sought after Switzerland honeymoon destinations. Venture out into its multiple museums, art galleries, churches and shopping outlets. Not only this, indulge yourself in the various adventure sports while you are here. A few include- biking, hiking, skiing and mountaineering. 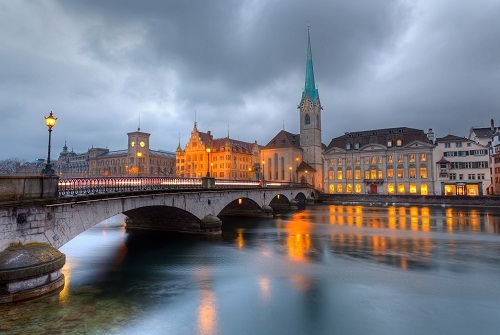 Don’t miss upon Zurich for a honeymoon in Switzerland in July. Zurich has an International airport and is connected with most cities in the world. It’s pretty safe here in Zurich,and you need to take regular precautions. 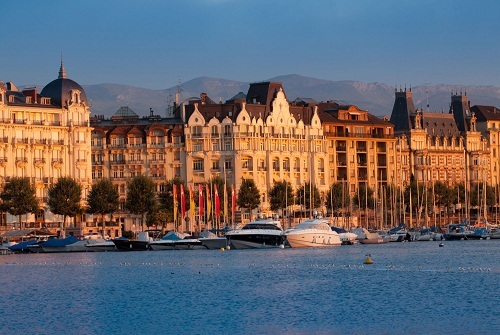 Ideally located on the banks of the river Geneva, this is yet another striking spot for honeymoon goers. You can choose to engage in its assortment of indoor and outdoor activities, or take a quiet evening stroll along the shoreline of the Geneva River. Geneva Airport is served by almost all the European and other countries of the world and travelling by air is a convenient option. If you wish to experience the thrill of romantic restaurants, winding streets and a hippy lifestyle, then Lausanne is the place to be. Walk around the city and visit the legendary Rue de Bourg, the wine gardens or the charismatic cathedral. 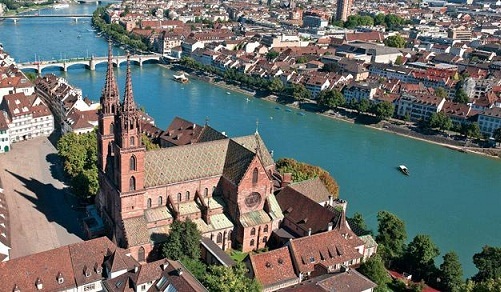 For history lovers, the historical town of Basel is a must visit. Venture out into the market square, or the gothic cathedral. Take a stroll around this old town and enjoy the essence of quaint little bookshops, boutiques and its many museums. If travelling by air takes a flight to the nearby Euro Airport (15 minutes) or Zurich Airport. 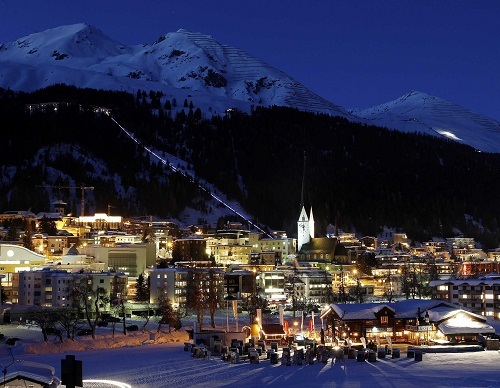 Located in the Landwasser valley, Davos is renowned for its large assortment of winter sports. You can go for a skiing trip, a sledge ride or a skating spree on its various snow-covered slopes and tracks. The city is very safe and regular tourist precautions need to be taken. For that perfect honeymoon, you shall never regret your choice of travelling to Switzerland. This is an exquisite vacation spot both in summer, winter, spring and fall. Whether you are a lover of nature or an admirer of a cosmopolitan city, this small country will fulfil all of that. The rich cultural heritage gives you another reason to visit this destination. Each of these aspects will compel you to fall in love once again! Not only will you enjoy your brief stay amidst the picturesque Alps, but will also bring back memories to be cherished for a lifetime! So are you ready to Embark on your honeymoon with your better half in Switzerland? Share with us which city you liked the most. You will never fall short of honeymoon destinations in Switzerland. Just go and fall in love with the place as well as your better half in the mesmerizing mountains of Switzerland. 1. How much does a honeymoon in Switzerland cost? Ans: Depending upon the time of your travel and the number of days you wish to travel and also the type of property that you are looking to stay in the package could cost you anywhere between 1,10,000 to 1,80,000 for a typical 7night 8 days tour to Switzerland. For the detailed package, you can refer to any renowned travel agent. 2. What can you see in Switzerland in 3 days? 3. Which is the best time to visit Switzerland? 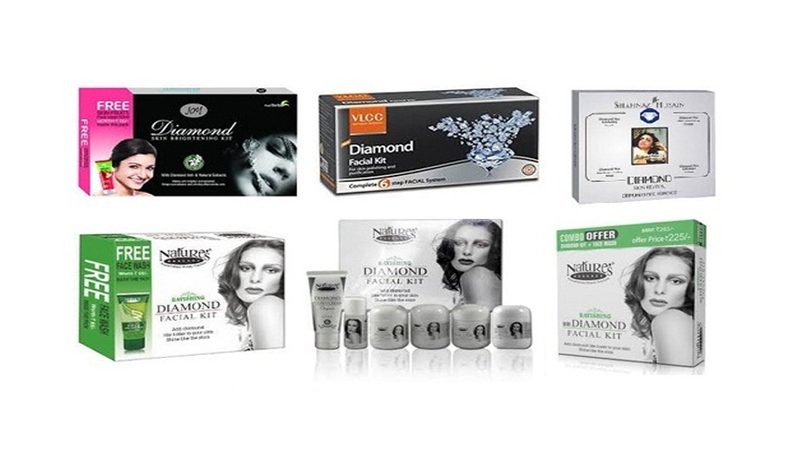 How To Do A Diamond Facial?